A recent viewing of The Pianist powerfully reinforced what I recall from the amazing Man's Search for Meaning by Viktor Frankl. Coming out of the cauldron of surviving Auschwitz, Frankl developed what he called logotherapy. The task of this therapy is to identify a purpose in life to feel positively about, and then immerse oneself in imagining that outcome. That purpose no one and nothing can take away from you. The Pianist is an riveting retelling of Polish concert pianist Wladyslaw Szpilman's surviving the Nazi atrocities inflicted on the Jews of the Warsaw Ghetto in WW II. Unable to play for years, he survived in part, by performing his beloved Chopin in his imagination. Now, a life's purpose is almost a given in describing at least part of our mental hygiene. The popularity of The Purpose Driven Life indicates general acceptance of what Frankl pioneered in 1946. A more contemporary exploration is Well Being, a Gallup publication which concludes that "engagement" with life is one of the chief markers of personal well being. Isn't it amazing that engagement in a community can measurably help in lifting depressive symptoms? Can you remember people offering to volunteer in a church- mainly because they said it was suggested by their psychotherapist? While the psychology of seeing someone in a deeper hole than you serves as a kind of shock- therapy, the deepest pain probably originates from wasting, or dismissing, the gifts God gives us. The more we can equip others to know and use their gifts, the better off they - and the world- will be. This, too, is an encouragement for pastors to use their true gifts, because when we do this on a regular basis, we lead with our best and truest self. Gift theory is all about self-improvement through our signature strengths- not in becoming "well rounded." We are empowered as we uncover and use our true gifts. Gift therapy is something we can offer every day in the communities and churches we serve. But, like everything else, we make poor teachers and examples if we rarely find ways to practice our true gifts. "Creative" people are only so in the sense of creating opportunities to employ their gifts. So every one of us is, or can be, very creative. The implications of refusing to live out of our gifted-ness may be that we never know what it's like to live a life that is given by Love, one that's uniquely our own. 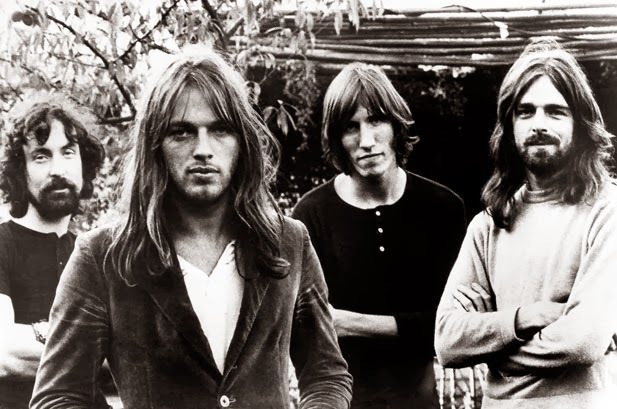 The lyrics in Pink Floyd's Wishing You Were Here expose how misleading appearances can be. Like the song, we can easily exchange "a walk -on part in the war for a lead role in a cage." The "lead role in the cage" is what the system needs and wants and expects, no matter your gifts. by God's love and mercy and generosity. Choose the walk- on part, which is life and joy.